Swan Facts for Kids | Swans For Kids | Cool Kid Facts . This majestic and beautiful animal is well-known for being graceful and quite peaceful to look at. 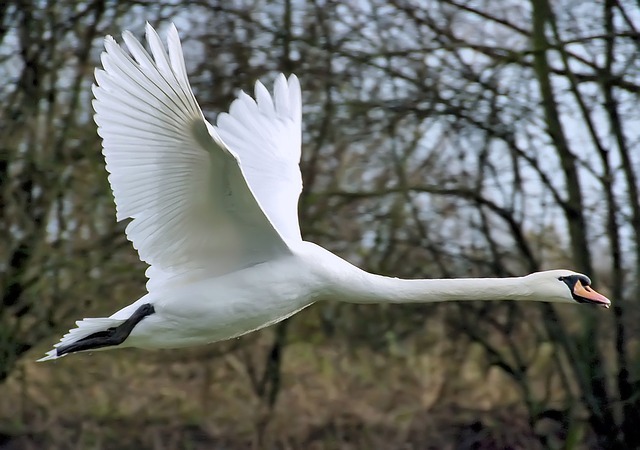 Often seen gliding across lakes, the swan has long represented elegance and refinement. There have even been popular fairytales written about swans – perhaps you’ve heard one yourself. Are appearances deceiving, or does this lovely creature live up to its reputation of being gentle in nature? 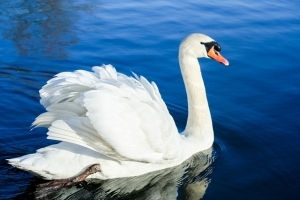 Read the following swan facts below to learn some interesting information about this animal. 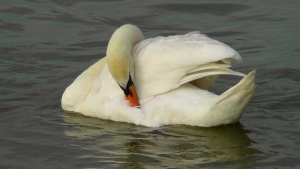 Swans that live on freshwater typically enjoy pondweed, stonewort, and wigeon grass. They also like eating insects and tadpoles. 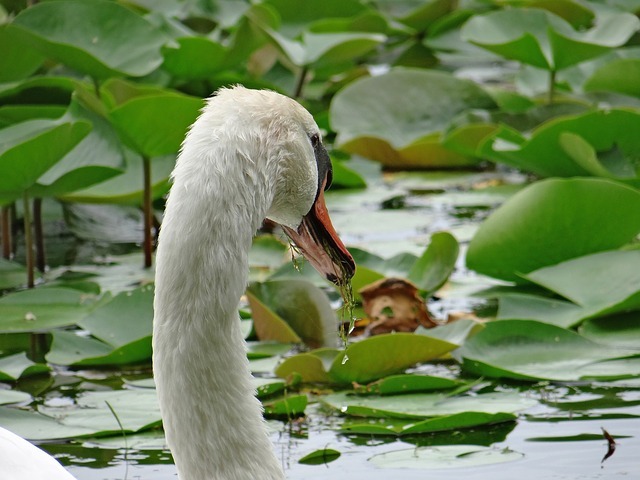 Swans that live on salt water also eat insects, along with sea arrow grass, salt marsh grass, eel grass, club rush, and green algae. Many people like to feed swans at the park. It is recommended to feed them pieces of fresh bread because mold is quite poisonous to these animals. If you ever decide to feed a swan, remember to throw their food directly onto the water, and not on the nearby land. This keeps swans where they belong – in their safe, natural habitat. Swans typically know their limits when it comes to eating and do not overeat. Swans live up to their reputation of being very beautiful birds. Their elongated, curved necks and white feathers stand out amongst the lakes they reside on. They are very large birds and can weigh up to 30 pounds, measuring anywhere from 56 – 62 inches in length. Believe it or not, after a swan has laid a set of eggs (which can take 2-3 weeks), she can sit on them for 6 weeks or longer until they hatch. Swans will hatch up to 10 eggs at one time. Baby swans are called cygnets and stay with their mother for the first 6 months of life. 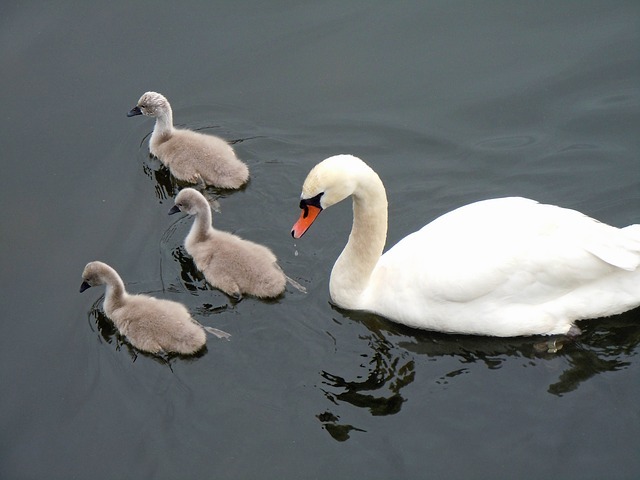 All of the mute swans in England and Wales are owned by the Queen of England. 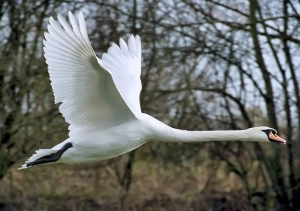 Despite popular belief, swans can actually fly. They are among the largest flying birds out there and need about 30 yards to become airborne. Believe it or not, there are actually black swans as well as white swans. 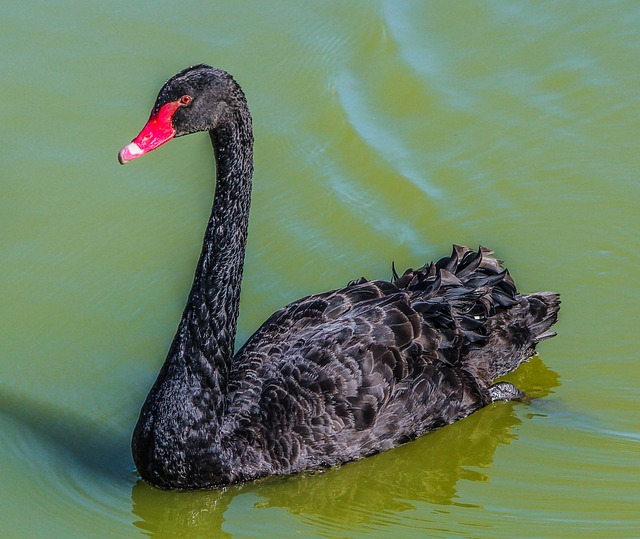 Black swans are native to Australia and New Zealand. They are not typically found in North America, but due to them being bred and sold for private lakes, it is possible. Black swans have the same diet as white swans and there are no notable differences between the two except their coloring. Although it is true that swans are gentle and defensive animals by nature, they have their rare moments of aggression. If any intruder (such as another swan, geese, or even a human) gets too close to their nesting ground or young, they may chase them away. They may also bite – not in the typical sense considering they have no teeth, but they can still pinch the skin which can be irritable. More often than not, however, the myth is true that swans are rather harmless in general. It is best to steer clear of pestering swans, however, because children have received broken arms from getting too close!